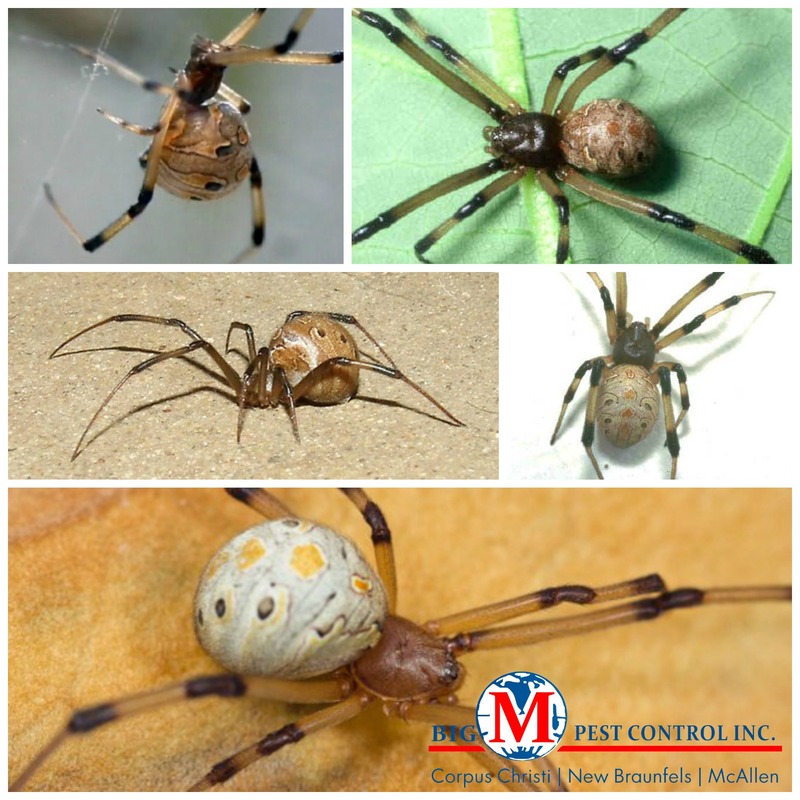 HOW TO IDENTIFY BROWN WIDOW SPIDERS: It is sometime difficult to distinguish a brown widow from other brown spiders. Males are smaller than the female brown widows. Female brown widows can be up to a half-inch long with legs extended. Males are much smaller. Brown widows also have an hourglass-like marking on their abdomens and they are orange unlike black widow spiders who have a red hourglass shape on their back. You can determine if brown widows are nearby by finding their egg sacs, which are unusual. Instead of being smooth, they’re covered in tiny spikes. HIDING PLACES: They tend to hide in places where they run into people — backyards, in patio furniture, gardens, outdoor toys, playgrounds and even vehicles. MORE INFO: Brown widows are less aggressive than black widow spiders and less likely to bite someone. They are more likely to retreat than to fight. Brown widow bites are reported to be less venomous than black widow spiders but it is recommended that people who are bitten by a brown widow see a doctor.